Come Nerd out with us at Jess W Photography Studio! 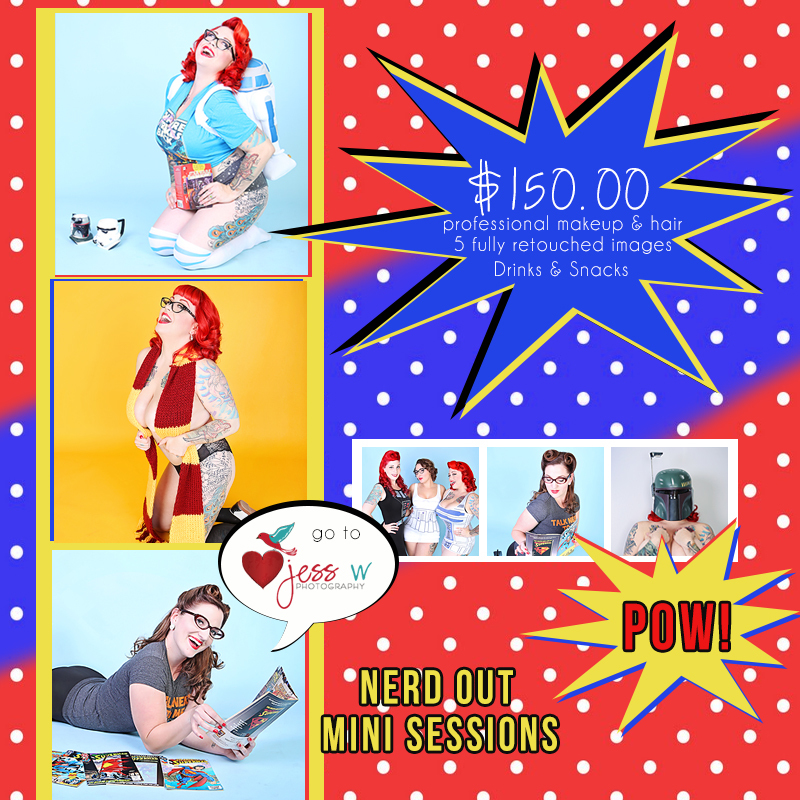 We have a variety of wardrobe, comic books, and nerdy memorabilia for your Nerd out Pinup session. You are also free to bring your own of course! These mini sessions include professional hair and Makeup by Cortney Maylee, Pinup Model, 5 fully retouched images by yours truly Jess W, and of course drinks and snacks. E-mail: Jesswphotography@gmail.com to book your session today or buy a gift certificate for your special someone. What an amazing Valentine’s day gift that would make!